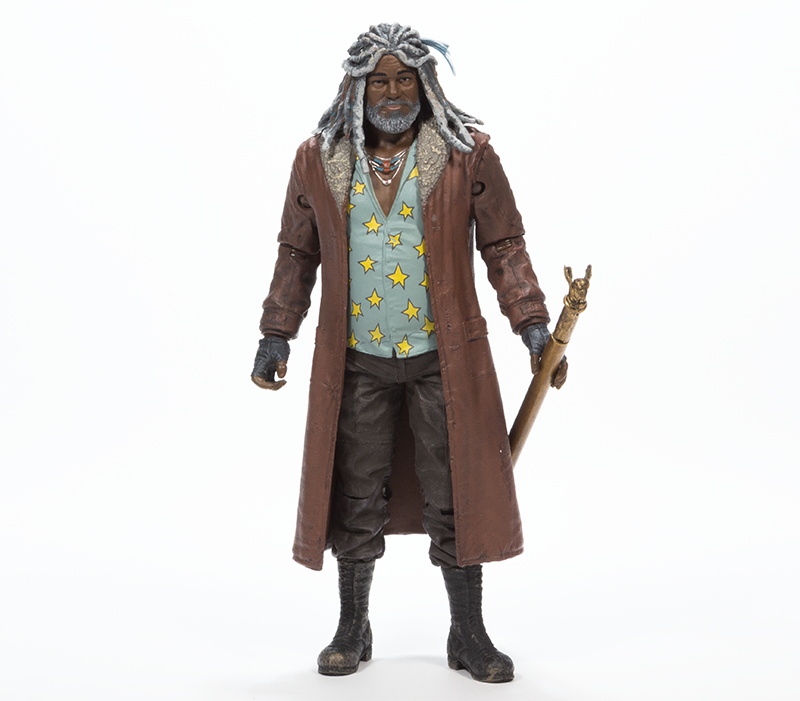 The Walking Dead Ezekiel Action Figure ($25). 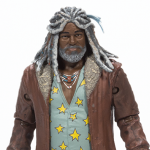 Ezekiel is the next character in Skybound’s exclusive lineup of limited edition The Walking Dead action figures from McFarlane Toys. Ezekiel comes with his trademark sword-cane and is available in full color and black & white with blood splatter. 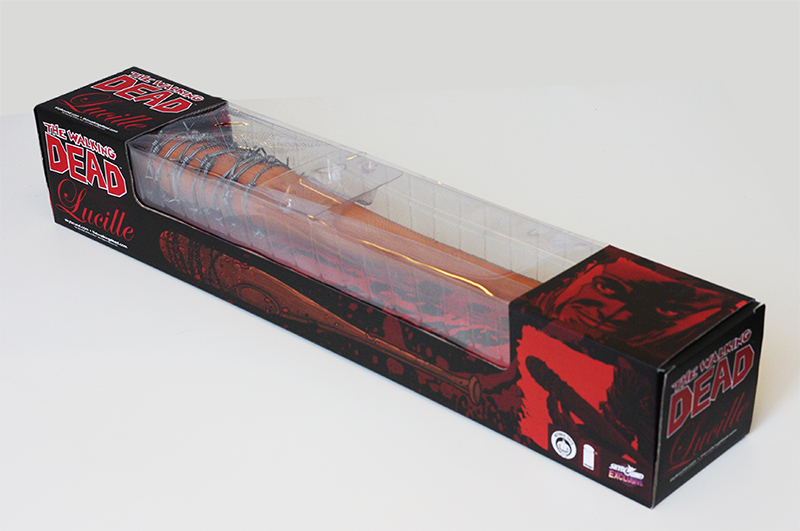 The Walking Dead Lucille Vinyl Mini Replica Bat ($40). Negan’s favorite lady, Lucille,immortalized in vinyl and designed by the team at October Toys. This vinyl mini replica bat is limited to 2500 pieces. Skybound Minis Rick and Invincible 2-Pack ($20). 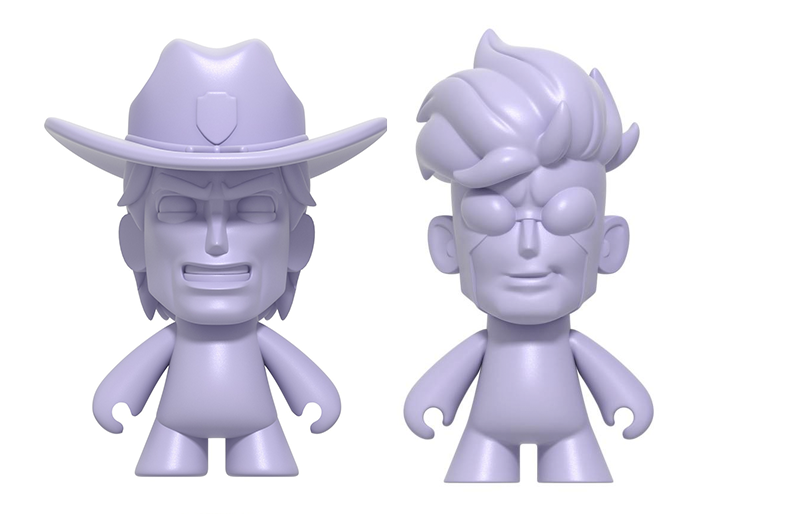 A limited edition double blind box set of Skybound Minis, featuring Rick from The Walking Dead and Invincible from the self titled series. The minis were designed by Scott Tolleson and will be limited to 5000 sets. With six possible colors for each figure, each box is a mystery. The Walking Dead Abraham, Andrea and Jesus PVC Miniatures 2-packs ($10 each). 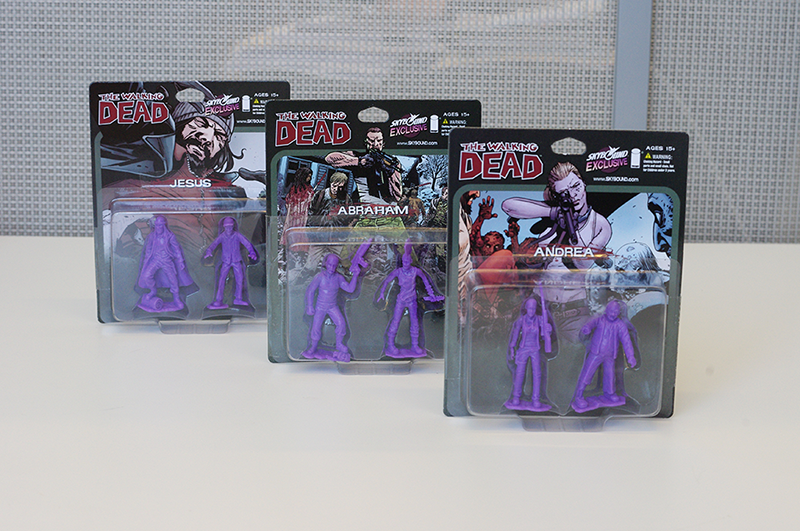 Next in the series of The Walking Dead PVC Miniatures are Abraham, Andrea and Jesus each packed with a gruesome zombie. Designed by October Toys, these PVC miniatures come in 4 different colors (Grey, Grey with blood splatter, Purple and Glow in the Dark). Limited to 500 of each color for Purple and GID, 250 each for Grey and Greywith blood splatter.